In the 1880s, the large Kosta glassworks needed better means of transport. Its managing director Axel Hummel built a 600 mm railway to Lessebo station with its standard gauge line. As transport demands grew, the line was rebuilt and opened also for passenger traffic in 1891. 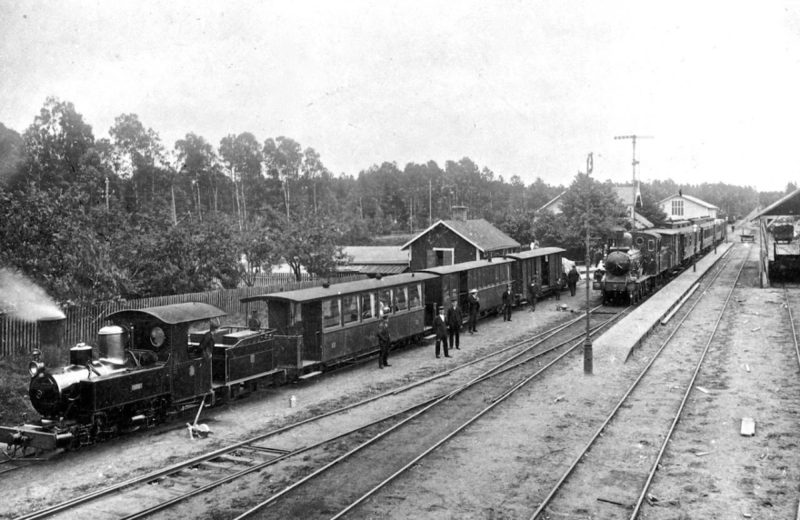 Hummel wanted to extend the line to the Baltic Sea, but was given concession only to Målerås station on another nearby railway. The glassworks' own freight traffic remained the railway’s mainstay since passenger traffic was limited. In 1931, the line to Målerås was closed. In 1934 passenger traffic was discontinued and in 1948 freight, too. Four steam engines provided traction for three coaches and some 60 freight wagons. Hummel was head of the railway for the first ten years, and also of the Kosta Machine Works which built rolling stock for other 600 mm lines. In addition he ran a railway promotion office, marketing the "Kosta System" for 600 mm railways.